We would like to encourage everyone that would like to learn more about the sport of catfishing, meet the pros or just want to see some monster catfish, to join us at the weigh-in site at 8-11 am Saturday morning the 3rd of Aug. 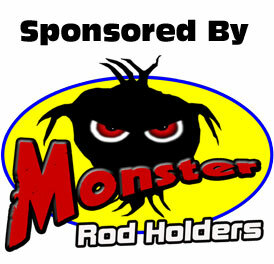 Sponsor giveaways for the catfishing fans and spectators. Want to see some monster catfish? The Captain will have many top anglers from around the nation that will produce some of the biggest catfish that Taylorsville lake has to offer. To Claim your Free Raffle tickets be sure to stop by the sponsor booth on Saturday morning during the weigh-in from 8 AM to 10 AM.